The Monticello Automatic Roof Vent is designed for simple and easy installation that should take about 30 minutes to install on existing Monticello Greenhouses. This Roof Vent is designed for ALUMINUM COLORED framed Monticello Greenhouses. The Automatic Roof Vent is made from the same high quality aluminum, polycarbonate, and includes the same professional grade automatic vent opener as the Monticello Greenhouse comes standard with. Set of 10 quick-release straps for Everest car shelters. These straps replace the nylon string systems provided with the traditional shelters. Everest quick-release straps make it possible to attach the cover of the shelter easily at the base of the structure. This versatile bench / table doubles as a sitting bench or table and is crafted from cedar to match your gazebo. The flexible design allows for mounting as a bench or table, inside or outside of your gazebo. It features sturdy, decorative support brackets and can easily be stained to suit your decorative taste (stain sold separately). The Palram greenhouse anchoring kit adds extra protection against strong and harmful winds (up to 90km/h). It cleverly fits to your existing Palram Snap & Grow Greenhouse and can be secured into concrete/pavers, directly onto grass/bare earth or even decking (all required fixings provided). Protect your crops against the ravages of nature: Solar Radiation and Frost. Enjoy the ability to extend your Greenhouse daily use by using a high-end Shade Net. 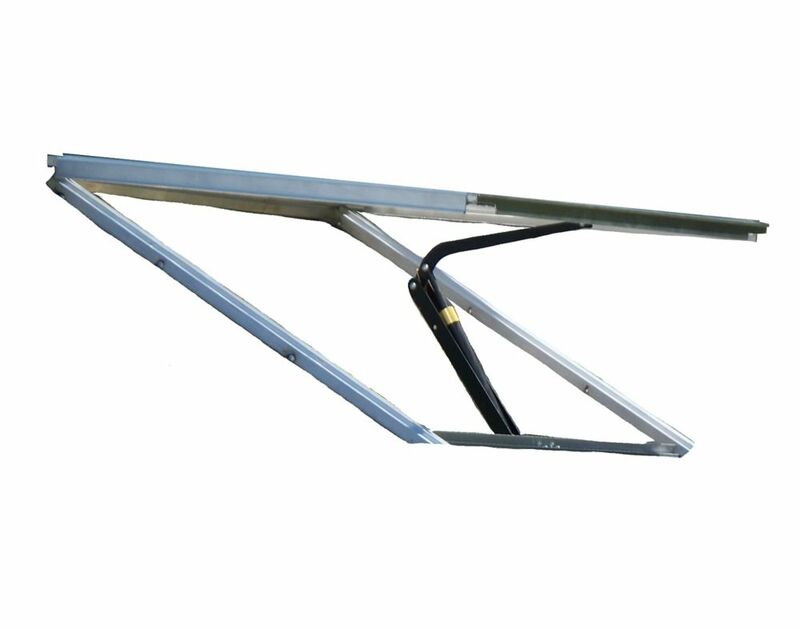 Designed specifically to use in up to 8 (2.4m) length Hobby Greenhouses. Screens plants from direct sunlight exposure and helps prevent scorching. The shade net reduces heat build up inside your greenhouse. This unique Shade Net is made from high-impact, durable, long lasting dense material. It is protected against solar UV radiation, and is extremely resistant to inclement weather and extremes of temperatures and humidity. A sequential efficient assembly manual, complete with illustrations, details out the shade net set up to offer quick and easy assembly experience. Automatice Roof Vent Kit - Aluminum The Monticello Automatic Roof Vent is designed for simple and easy installation that should take about 30 minutes to install on existing Monticello Greenhouses. This Roof Vent is designed for ALUMINUM COLORED framed Monticello Greenhouses. The Automatic Roof Vent is made from the same high quality aluminum, polycarbonate, and includes the same professional grade automatic vent opener as the Monticello Greenhouse comes standard with.